Jason surprised me with a trip to Mexico for Valentine's Day! 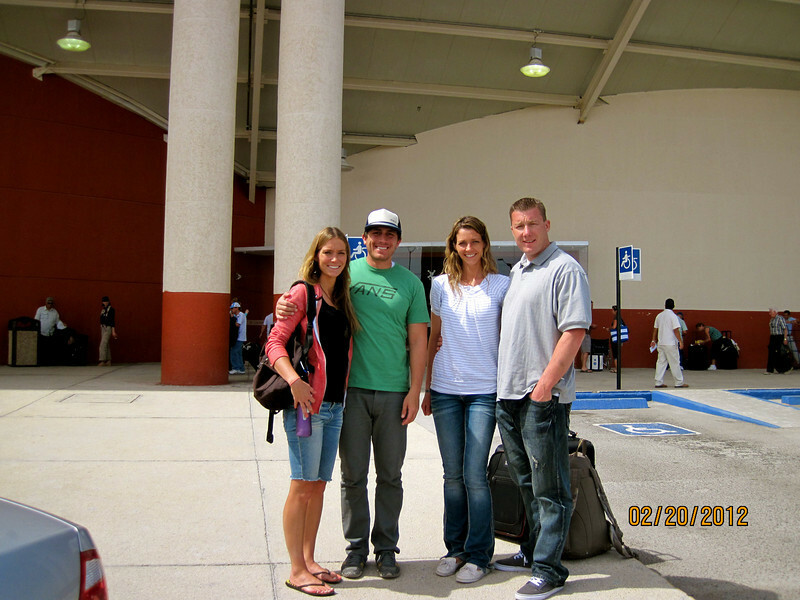 We met my sister Teresa and her husband James in Cabo San Lucas last week and had such a fun trip. I wish I could live it all over again! We had a great time snorkeling, hanging out at the beach, fishing from shore, deep-sea fishing, eating lots of good food, seeing amazing creatures like whales, dolphins and rays, living through many near-death experiences in the rental car and just being together. I wish we could go back! Like, right now. This is on Lover's Beach. How romantic! My beautiful sister Teresa and her husband James. They are the cutest! I miss this! I never get to see my leetle seester these days. It was so great to have a few days together. Believe it or not, Jason's first love is fishing, not hunting. He couldn't resist buying a fishing pole at Mexican Wal Mart and fishing from shore every chance he got. The beaches were so beautiful! He even caught a few strange fish. And it had human teeth! It looked like Mater from the movie Cars. Freaky! Jason was afraid he might lose a finger trying to get the hook out, but he finally got the job done. I was too grossed out to go near it. 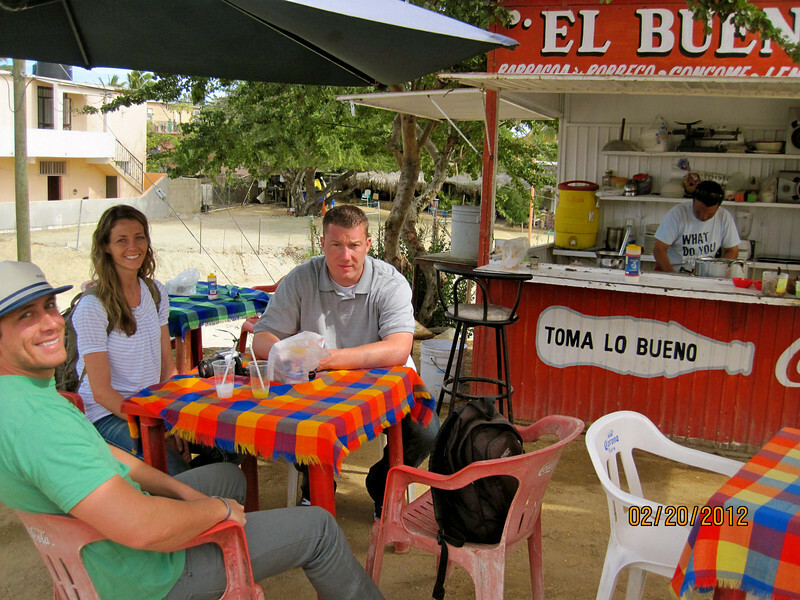 We decided to go out on a limb and eat at an authentic taco stand. It was good! And, as far as I know, we all survived. At the airport on the way home!!! Sniff, sniff. It was such a fun trip. The perfect combination of adventure and relaxation. What a fun surprise... Loved your pictures... I am totally jealous! You guys are a great couple! I love this!!! Haha, that fish is disgusting! he looks like a human. We keep talking about what we'd be doing right now if we were in Mexico. Best time ever! Miss you guys!! Can you have J talk to Maurice about a "surprise" trip for moi? Looks amazing except for that freaking ugly fish-those teeth scared the crapola outta me! YUCK! This is why I don't eat seafood. Looks amazing and fun!